Monday, September 10th–Welcome meeting! Dinner, Snacks, Ice Breakers and Games! At the conclusion of the meeting we will hold a brief compline & memorial service for the 9/11 victims. 6pm at Quinn’s house. Monday, October 8th–Dinner Meeting, with special faith topic to be discussed, followed by activity and brief compline. 6pm at Kristina’s house. Saturday, October 13th–UW Big Event Day! OCF Participates! Monday, November 19th–OCF Thanksgiving Dinner! 6pm at Quinn’s house. Monday, December 3rd–Christmas Party & White Elephant at ROXIES. 6pm. For more information please contact Quinn: qmarquar@uwyo.edu or Kristina: kzaharas@uwyo.edu. 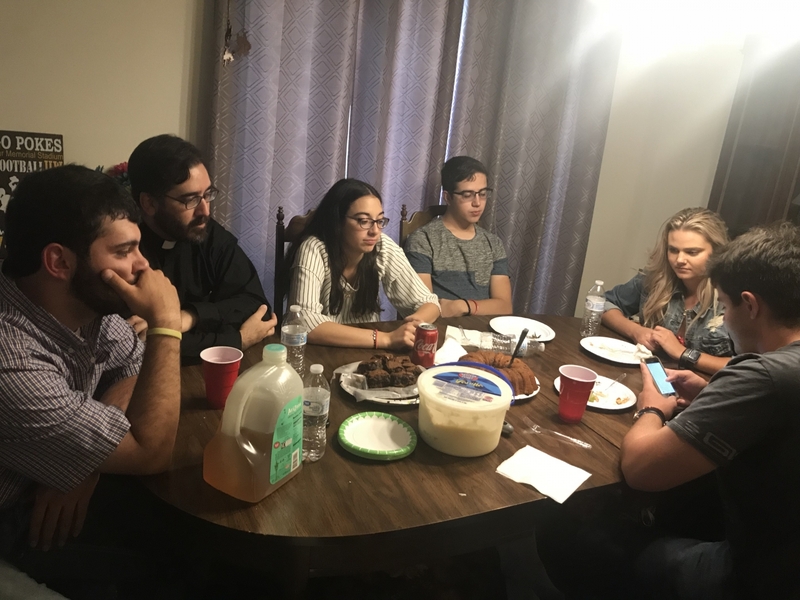 Orthodox Christian Fellowship (OCF) is the official Orthodox Christian collegiate campus ministry program at the University of Wyoming, developed with the blessing of the Assembly of Canonical Orthodox Bishops of the United States of America. OCF is a national ministry which transforms the lives of college students in the United States by guiding them along the path to Jesus Christ through His Church, cultivating a campus community of worship, witness, service, fellowship and education. The vision of the Orthodox Christian Fellowship is: to be the loving presence of Christ and the Orthodox Church on college campuses; to be an integral part of students’ spiritual formation by challenging them to explore the Faith; and to inspire students to commit to living an Orthodox Christian way of life daily.